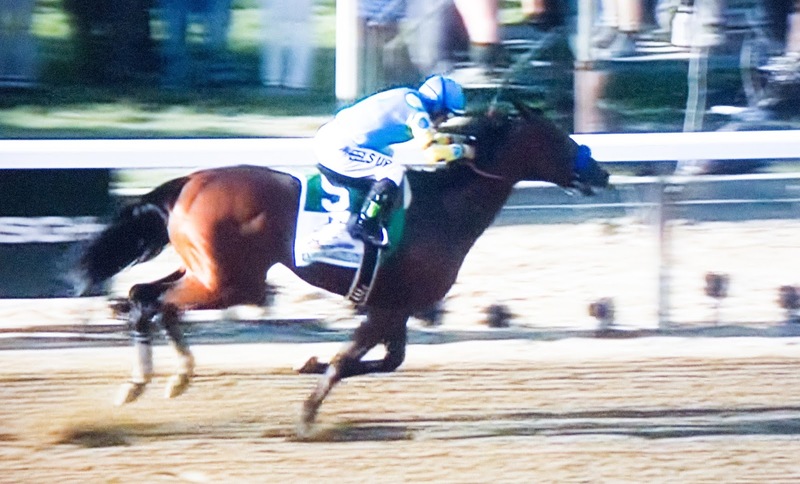 MSV: American Pharoah takes the Belmont Stakes & the Triple Crown! American Pharoah takes the Belmont Stakes & the Triple Crown! For the first time in 37 years, the Triple Crown in the Test of Champions faceed the latest applicant who was not found wanting. The Triple Crown adds another name to its roster of champions: American Pharoah! With Kentucky Derby rivals rested, American Pharoah tenuously moved to the lead out of the gate of eight horse and led wire to wire. In the long mile and a half track at Belmont, the three-year old won by a convincing six lengths with a throng approaching 100,000 cheering in ecstasy. American Pharoah pulls away at the finish to win the Belmont Stakes & the Triple Crown in convincing fashion sending horse fans around the world screaming in delight.